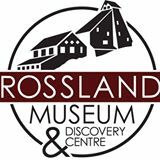 Join us July 11th for the first annual charity golf tournament for the Rossland Museum Renewal Project. It is a shotgun start at 3pm, best ball. There are lots of prizes and a chance to raise some money for a great cause. Call the Golf Shop at 250-362-9141 to register you team.